Provides a fresh and delicious floral fragrance with notes of frisian, jasmine, blackberry and sandalwood. 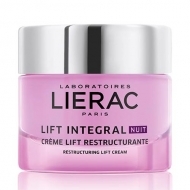 DESCRIPTION: Lift Integral Crème Lift Remodelante from Lierac is a reshaping and firming anti-aging day cream for mature, normal to dry skin. 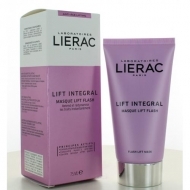 Reaffirms and defines the contours of the face, leaving the skin moisturized and smooth. 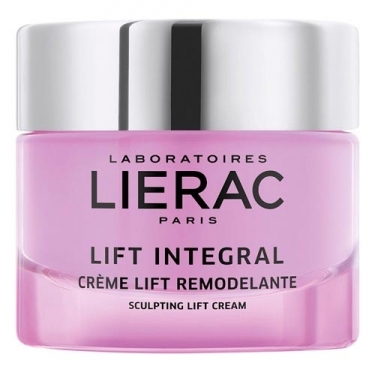 It improves the elasticity and firmness of your skin, combating the main signs of aging: wrinkles, loss of volume and loss of firmness. For firm, youthful, smoothed skin. 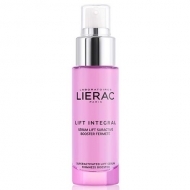 Active ingredients: Tulip extracts and cashew straighteners; anti-aging Hyalu-3 concentrate and moisturizing candolle oil. Provides a fresh and floral fragrance. Apply in the morning on clean and dry skin of the face.